What is the Hot Cast Bronze Process? 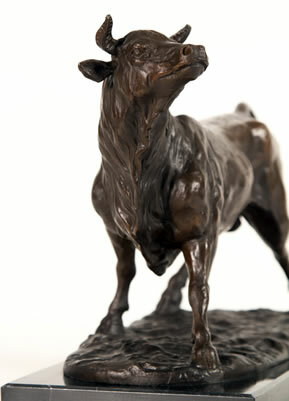 All of our bronze sculptures are genuine bronze metal made using the hot cast method. Unless otherwise specified. Hot cast is metal and cold cast is resin. With Hot cast sculptures. The sculpture is actually made of molten metal. Cold cast bronze is made from a polyester resin blended with bronze powder for colouring. Bronze does not occur naturally, it is in fact a combination of copper and tin. It combines to create a very hard and long lasting material that has been used as far back as 3000BC. 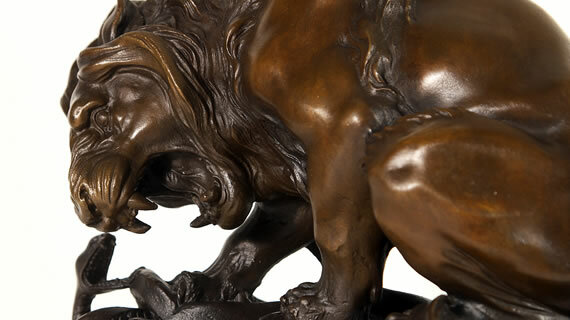 The methods used today to create a genuine bronze sculpture remain much the same as it did then! Bronze sculpting is known as the lost wax method. It is a many stage process that is labour intensive and time consuming. That is also why bronze sculptures are usually far more expensive than the cold cast resin substitutes. The original sculpture is made from a hard material, this could be wax, clay or even plastic. A mould is made of rubber that exactly replicates the original sculpture so duplicates can be made. The wax copy is then coated with ceramic. This takes several days and many layers are added and then kiln fired to harden. This process also melts the wax and that is why it is called the lost wax process. What you have then is a ceramic mould that the molten bronze can now be added to. 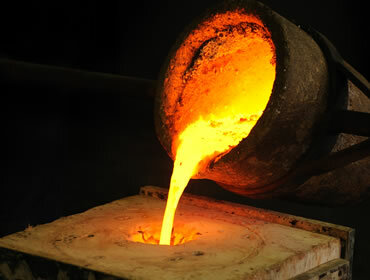 The molten bronze is poured into the cavity and allowed to set. When fully set the outer ceramic shell is broken to reveal the bronze sculpture. The bronze sculpture is then hand finished by sanding, sand blasting and polishing to reveal an exact copy of the original. Finally a patina finish is created by using chemicals and then heated to bring colour and shading to the sculpture. There are no machines used in this process, just the keen eye of the bronze craftsmen.